abuse of office and corruption against Communications and Transport minister Dora Siliya. The tribunal, to be chaired by Supreme Court Judge Dennis Chirwa, comprises of Supreme Court Judge Peter Chitengi, High Court Judge Evans Hamaundu and deputy director of subordinate courts Maka Phiri, a statement issued by the director of court operations, Mwamba Chanda, stated. 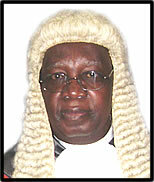 “The tribunal will commence its sitting on Monday the 2nd of March, 2009 at 09.00 hours in Court room No. 2 at the Supreme Court Building,” Chanda announced. The tribunal was constituted following a petition filed recently by former Minister of Communications and Transport William Harrington, urging the Supreme Court to set up a tribunal to probe the alleged breach of the Parliamentary and Ministerial Code of Conduct Act by Siliya. Siliya is alleged to have awarded contracts for evaluating the state-run Zambia Telecommunications Company, Zamtel’s total assets and the supply of a radar system for the Lusaka and Livingstone International Airports. The Communications and Transport Minister is alleged to have awarded a contract to RP Capital Partners of Cayman Island to value Zamtel at a contract sum of US$ 2 million, with total disregard of advice from the Attorney General’s office whose letter advising the minister not to sign the contract was leaked to the independent Post newspaper. The other allegation is that Siliya overruled the Zambia National Tenders Board and cancelled a duly awarded contract for the supply, delivery, installation and commissioning of a Zambia Air Traffic management Surveillance Radar System at Lusaka and Livingstone international airports. zambians n corruption……when will we ever learn to develop our country for de betterment of others instead for our own selfish desires….